Do Cal Poly architecture students ever get a break? Read more to find out. It’s true. I’m back to dish out Cal Poly architecture posts. Now for the moment you have all been waiting for- the debut of the paraSITE video. That title may have been too harsh. Nevertheless, the reality is this blog will soon come to an end. What in the world is paraSITE? If you have walked into the Cal Poly: San Luis Obispo Architectural and Environmental Design building (bldg. 5) lately, you may have noticed something has changed- the building has been taken over by student projects called paraSITEs. They hang from ceilings and cling to walls like blood-hungry organisms searching for a host. The question now is why are they there and why should you care. These short Vine videos represent a few of the stereotypical struggles architect students face during their college career. Allow me to put an emphasis on the “stereotypical” part of that last sentence. These videos are meant to show generic architecture problems. They are not meant to represent all the problems architecture students face. Enjoy the following videos where I, a journalism student, play the role of an architecture student just trying to get through her college career. The first thing I do when I come home for break. When my architecture professor compliments me on my work. What I spend a majority of my money on- Home Depot supplies. My reaction when my professor gives me instructions for an architecture project. What I do on a Friday night while everyone else parties. What I do when I’m done with my architecture homework. The following photos show the first year Cal Poly architecture students at work on what is called the paraSITE project. Click on a photo to view it. This project requires all first year architecture students to create a structure in an area somewhere in Cal Poly’s Architecture and Environmental Design builidng (bldg. 5). Stay tuned for my two other blog posts this week. P.S. For those Cal Poly architects I know and live with, great job on your work. You all inspire me and I am honored to call you my friends. For those architects I do not know, I appreciate and respect you just as much. I hope we can meet some day. Architecture first years Adam Newton and Katy Yuelapwan (foreground) and Joseph Stearns (background) test out a paraSITE project. Photo by Celina Oseguera. Architectural Engineering first year Christopher Carter and his paraSITE project partner, Andres Cortez, share a laugh. Photo by Celina Oseguera. Architecture first year Kerry Northwood snaps a few shots of a project. She was not the only one to do so. Many other students wielded a camera that night. Photo by Celina Oseguera. An architecture group sets up their project. Photo by Celina Oseguera. Architecture first year students Erika DiLeva (left) and Lori Lopez (right) work together in the one of the studios located in the Cal Poly: San Luis Obispo Architecture and Environmental Design building (bldg. 5). Photo by Celina Oseguera. Architecture first year Suraj Reddy tests out another fellow architect’s paraSITE project. Photo by Celina Oseguera. First year architecture student Timothy Gachot holds his partner as he reaches over the ledge to fix a component of their project. His other partner, Lisa Oakley, laughs behind them. Photo by Celina Oseguera. An architecture group puts on the finishing touches onto their project. Photo by Celina Oseguera. Architecture student Kevin Herhusky talking with his paraSITE project partners, Natacha Reed (right) and Carolyn Pires (center back). Photo by Celina Oseguera. A nice note left in one of the architecture studios. Cal Poly architecture students will most likely want to follow these wise words. Photo by Celina Oseguera. When life gets tumultuous, the first thing people usually drop is one of their hobbies. That could be knitting, dancing, drawing, anything. First year Cal Poly: San Luis Obispo architecture majors Paris Allen, Ryan Stone and Phillip Harris have decided to continue pursuing their passions- singing, blogging and biking respectively- even during their busy, architecture- filled lives. They prove that, even when life gets crazy, passions don’t always have to be sacrificed. If you want to visit Stone’s blog, click here. Click play below to hear their stories. Left to right: Paris Allen, Ryan Stone and Phillip Harris. Photos by Celina Oseguera. Morpholio is an application every architect should have in their utility belt. In the simplest of terms, it is an online portfolio. Here are some reasons why all you architects, and aspiring artists, should use it. 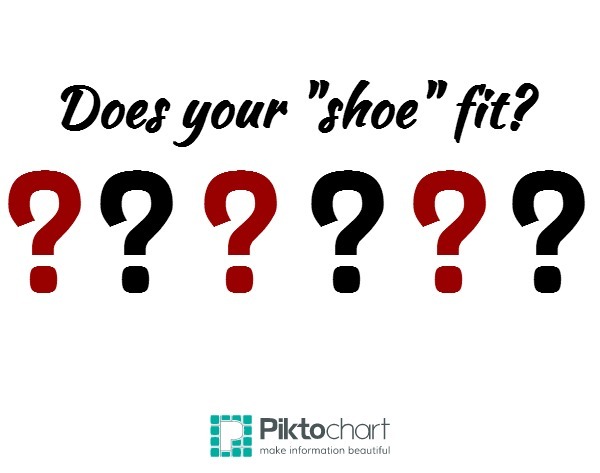 Architecture: Does the shoe fit? “If the shoe fits,” the saying goes. For some Cal Poly architecture students, this “architecture shoe” did not fit whatsoever.